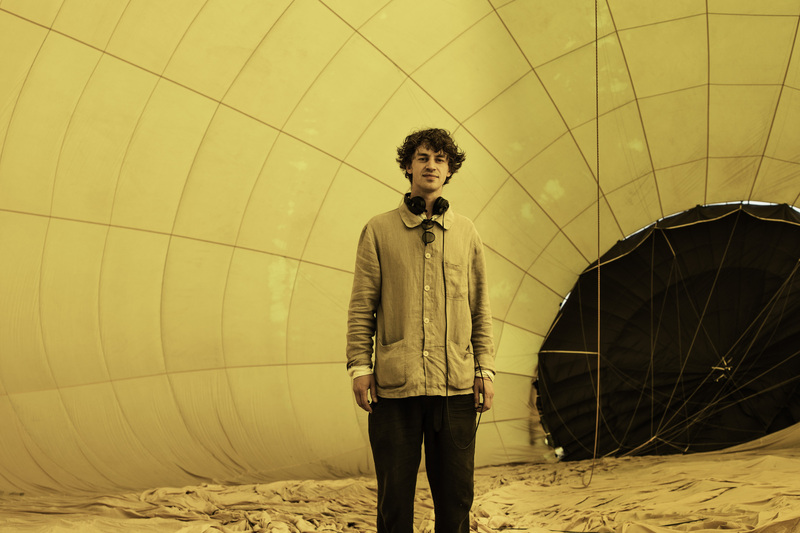 Cosmo Sheldrake claims he wrote his long-overdue debut LP (The Much Much How How & I) while under the influence of Flying Lotus, Tom Ze, Moondog, and Stravinsky. Quite the combo, really: a Mount Rushmore of mad geniuses most young musicians would fall well short of climbing. And yet the singer/multi-instrumentalist manages to far exceed our expectations with his widescreen pop music. Co-produced and mixed by the king of cutting-edge electronica (Matthew Herbert), it's a Broadway musical waiting to happen, fusing robust field recordings with unidentified flying orchestras. At least that's what we think we're hearing. As you're about to see in the exclusive video for "Pliocene," nothing is quite what it seems in Sheldrake's own self-made sound world. "Here is a live session of 'Pliocene', performed in a hot air balloon just outside Barcelona," he says. "It is a song about deep time and extinction. Many of the sounds that make up the tune are recordings of animals from endangered ecosystems. The beat is primarily made using recordings of fish that the American military made during the cold war. The kick drum is an Oyster Toad Fish, and the snare a Buck Toothed Parrot Fish—both fish that are commonly found in coral reefs. And the main melodic sound is a recording of a raven recorded by the soundscape ecologist Bernie Krause in Algonquin National Park in Canada. Bernie Krause has spent the last 50 years recording sounds from all over the world; many of the inhabitants of the ecosystems he has recorded are now extinct or endangered. The bass is made of a recording of a pig from a city farm in London. He continues, "It was so much fun working with Matthew Herbert, and very educational. We also spend a fair amount of time playing cricket with his children in between mixing sessions. I am very grateful to have worked with Orban Wallace from Gallivant films who directed this video, too. We filmed it the morning after England were kicked out of the World Cup, which certainly changed the tone of our day. We watched the match in a strange truck stop on the side of the motorway on the outskirts of Igualada, where the balloon convention was happening. We were due to arrive at the field that we were going to take off from at 6 a.m., and awoke at 5 a.m. to a big thunderstorm. By the time we arrived and the sun had risen, the worst of the storm had passed and we had to wait a couple of hours for the last of the ominous clouds to blow away. Eventually we were given the green light and began loading gear into the balloon. From there on everything ran fairly smoothly apart from one of the cameramen who was in a different balloon crash landing into some trees on his way down with a fairly inexperienced pilot at the helm."